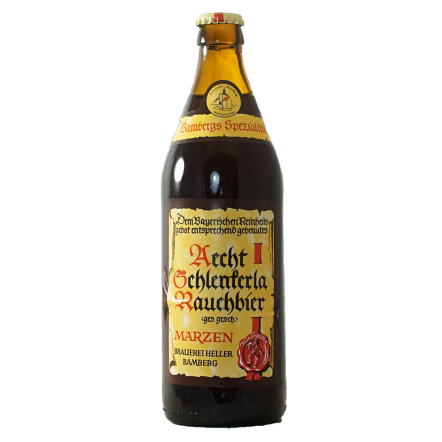 If you're not sure whether you've had a Schlenkerla beer you definitely haven't had one. Every single beer has an aroma totally unique to this brewery. The brewery is based in Bamberg, where most of the world's smoked malt is produced. Instead of simply roasting the malts they are hot smoked over wood to create amazing flavours and aromas. Schlenkerla beers all use these malts and even the zesty wheat beer still has that amazing edge of bacon and burnt wood to it. It's beer unlike any other and fantastic for food matching.